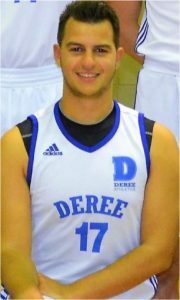 Dimitris played excellent scoring 15 points with 3 three-pointers and giving 5 assists to help Deree J.V. achieve its 6th victory in a row, 65-56 against Grant Thornton. Well done Dimitris!